At Polar Sports, we are dedicated to providing you with the services and equipment that will make you successful on the ice. 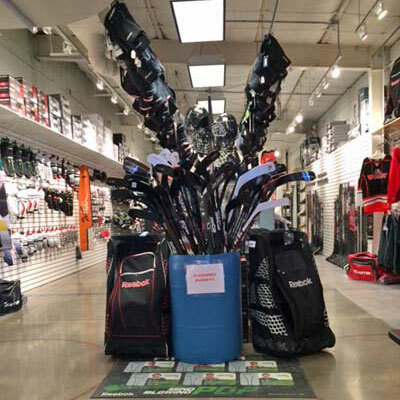 We understand that every hockey player is different, which is why we offer a wide variety of sticks, protective equipment, skates, and much more. Whether you're a first time rink-rat or entering the professional ranks, we have something for you! Our staff comes from a variety of hockey backgrounds, whether it be playing, coaching, or working with customers like you. Our passion and knowledge will help give you the best hockey experience possible.